Hey you groovy guys and gals! 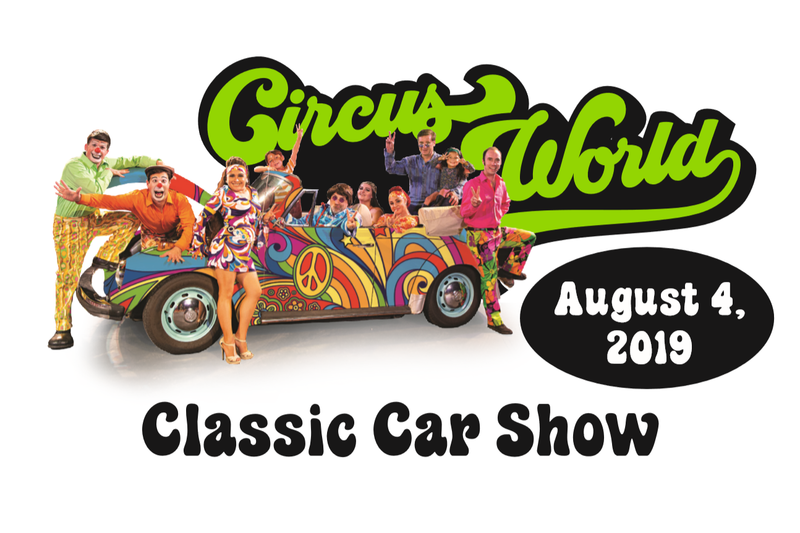 It’s Circus World’s Classic Car Show comin’ at ya for one day only – Sunday, August 4. See classic rides from the groovy’ 1960s; with Detroit dreams, hot rods, muscle cars, and trucks too. The Doo-Wop era lasted till the mid-1960s, so there are classics from that era too. Be there, or be square! The Circus World Classic Car show is like the grooviest; the gnarliest; the most WAY-OUT… like WOW!